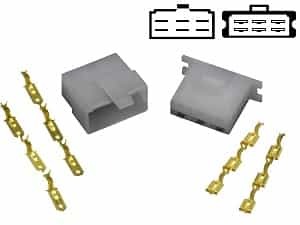 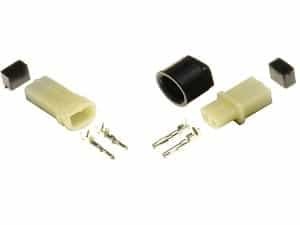 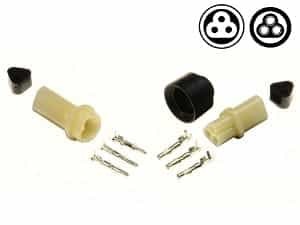 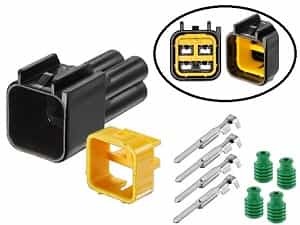 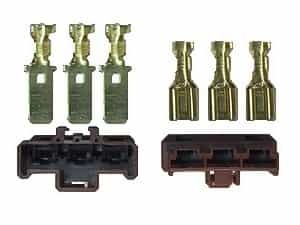 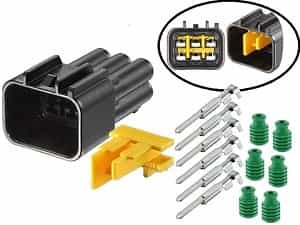 Stator connector plug set 3 Position Connector Male and Female. 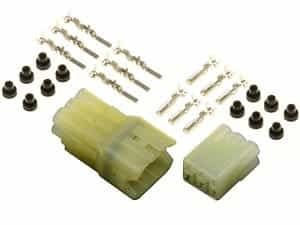 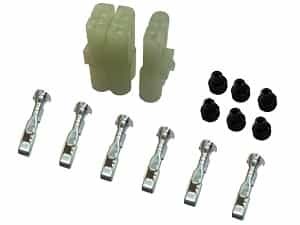 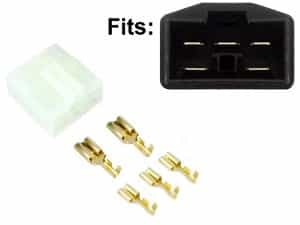 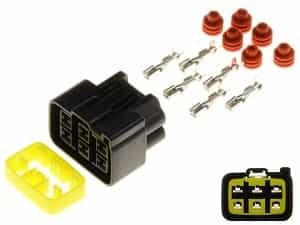 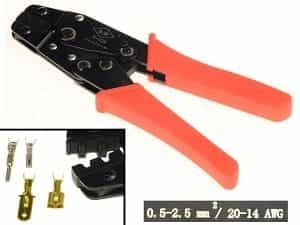 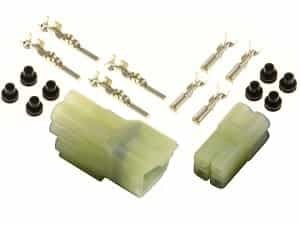 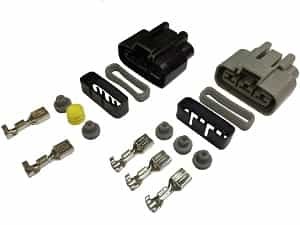 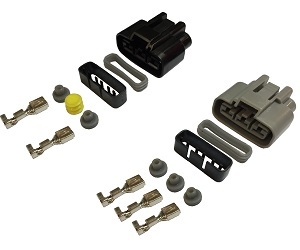 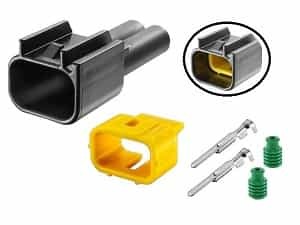 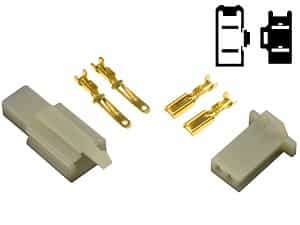 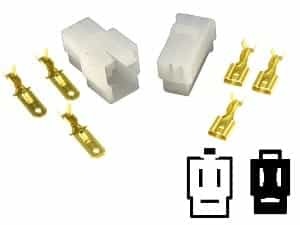 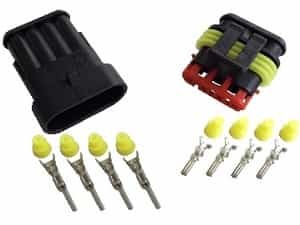 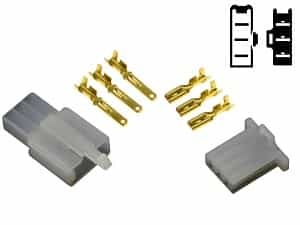 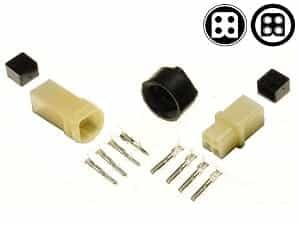 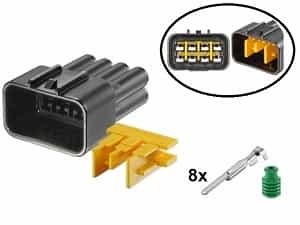 Connector set specifically for alternator phase connection. 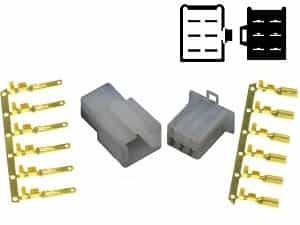 Complete with Fastons for.